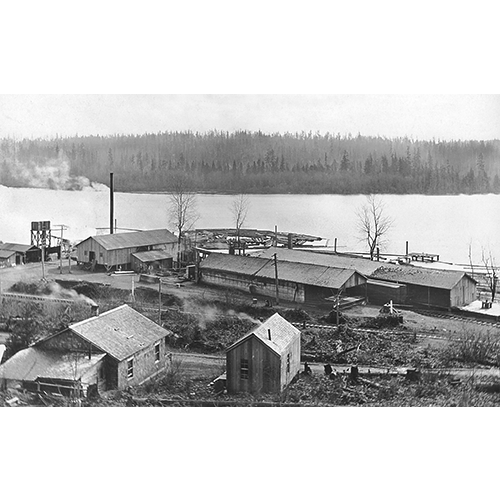 The McMaster Shingle Mill sprawls along the Lake Washington shoreline in 1909. The foreground buildings face a dirt road that later became Bothell Way. Just beyond are the railroad tracks and in the background is the site of the future Inglewood area.